RBAC Manager puts all efforts to simplify the RBAC administration. 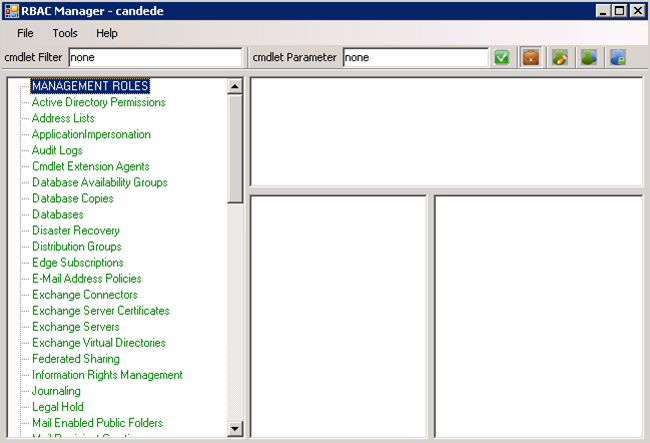 Basically it provides the missing GUI to edit RBAC settings on Exchange 2010 systems; including adding/removing cmdlets, cmdlet properties, assignments etc. RBAC tool is written in C# and using Powershell behind the scenes. 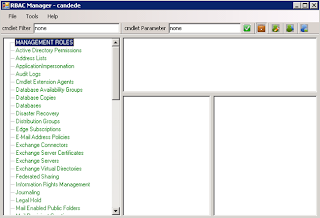 You need to have Exchange 2010 Management Tools installed prior to running RBAC GUI.